Gruen is back on television screens in September. Now ditching its Transfer, Planet and Nation variations for a simple Gruen title, it returns 8:30pm Wednesday September 9th to replace The Weekly with Charlie Pickering. 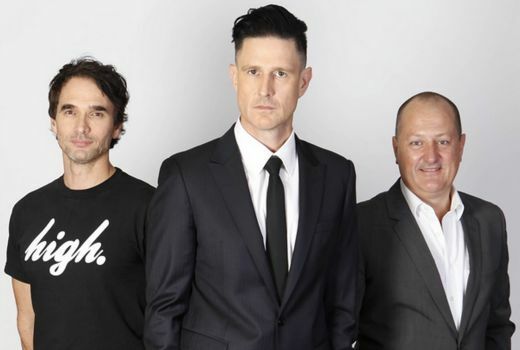 It will be a welcome return for one of ABC’s most popular shows after some two years off air, with Wil Anderson, Todd Sampson and TEN exec Russel Howcroft. Anderson is now co-Executive Producer on the series, after CJZ’s Jon Casimir became Head of Entertainment at ABC. “After the show took a well-earned break in 2014, we’re seriously excited to have Wil and Gruen back, lifting the lid on advertising, spin and marketing, examining how we are sold to, and how we are sold.” said Jon Casimir. “I couldn’t be more excited to be working with the amazing team at CJZ on a new series of Gruen. And I’m even more grateful they didn’t replace me with Adam Hills,” said Anderson. The 2015 season will also feature new panelists from spin doctors and marketing gurus both in Australia and visiting. Favourite segments will return, such as ‘The Pitch’, where some of Australia’s most creative agencies attempt to complete an impossible brief. 8.30pm, September 9th on ABC. Excellent news, have been enjoying watching the Gruen Planet: Cutdowns between Doctor Who and Humans Mondays on ABC2 (turns out they’re a nice entrée to it returning now). Love Gruen and love The Pitch segment. Never understood why the panellists must vote on their favourite Pitch video though. Todd always looks uncomfortable doing it. Yippee. Good replacement for The Weekly and pleased that they’ve dropped the individual Gruen flavours, which will allow them to be more flexible and more reactive as events develop before filming. There’s some nice self-referential irony going on there. Indeed. And watch Toned Abbs have a tantrum about it. Maybe move this to the News/Caff division to keep them under control? Soooo excited to see this show back on the air. Looking forward to its return.